Why Partner With Golden Frog?  Golden Frog is an established global Internet software developer and applications provider that delivers scalable solutions to improve and enable end-user Internet privacy and security without sacrificing speed and quality. With a global network and points of presence throughout North America, South America, Europe, Asia, Africa and Oceania, Golden Frog services users in over 195+ countries. We own and operate 100% of our VPN server infrastructure. With over 200,000 dedicated IPs, we can quickly scale our infrastructure to meet your needs. Golden Frog's reseller program offers all of the features and support you would expect when partnering with an experienced provider. Golden Frog offers an Application Programming Interface (API) to make integration easy for billing, provisioning and support. The API also supports fraud protection and abuse compliance. Our approach is unique in the VPN industry - we own, engineer and manage our VPN servers so we can deliver fast and reliable connections. Other VPN providers use 3rd party companies to host their VPN servers. We don't. Golden Frog is the only company that handles your data so we can ensure the highest level of end-to-end security, privacy and performance. We didn't invent VPN - we optimized it for modern broadband Internet connections. 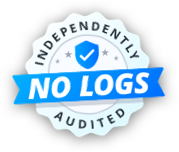 We write code optimized to deliver the fastest VPN speeds in the world with the highest level of security. Our in-house network engineers have decades of experience and continually optimize our global VPN network to deliver the fastest VPN speeds. Our server clusters are engineered to have the highest level of speed and security for broadband Internet connections. Golden Frog was founded to keep the Internet open and free while respecting user privacy and security. Since 1994, the Golden Frog team has been servicing enterprises, service providers and consumers. The Golden Frog team includes longtime Internet veterans committed to creating Internet applications to improve online privacy, security and freedom. We have a long history of working with partners in North America, South America, Europe, Asia, Africa and Oceania to drive their business success. "Peace, Prosperity and the Case for the Open Internet"
Golden Frog offers resellers the ability to resell VyprVPN. Resellers can resell VyprVPN as a stand alone product to supplement existing revenue or bundle VyprVPN with their core offerings to add value to existing products and reduce churn. VyprVPN encrypts Internet connections, protects online privacy, prevents monitoring of online communications and provides access to restricted websites to preserve an open and free Internet. Users can choose an IP address from our VPN servers in North America, South America, Europe, Asia, Africa and Oceania to secure their internet connection and defeat geo-restrictions. Bundle VyprVPN with your core offering to increase your customers' privacy, security and freedom on the Internet. Supplement existing revenue or add value to existing products to reduce customer churn. Appeal to end-users who are technically proficient, value privacy and security and have a high disposable income.